Add your own photo and a free message (Optional) . 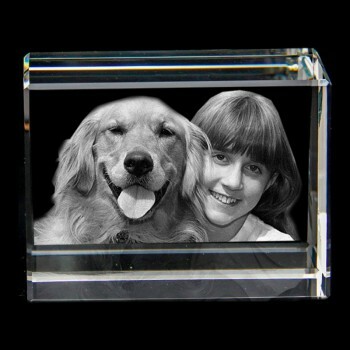 Create your own piece of family history by having family members permanently engraved in solid crystal. Your image will never fade or diminish which is perserved for generations. Superb gift for anybody. Great product and quick delivery to Sweden. This is a xmas gift to my grandkids and I think they will be happy. The crystal looks really great. Not sure what type of photo is best, but I sent a photo of them in front of a white background. I guess that helps a lot... at least I thought so and it looks great. Absolutely amazing,you made a very old photograph come to life again,couldn't be more pleased with the result! I ordered this product with a photo of our two dogs for my dad's birthday, it turned out to be a great purchase! Absolutely beautiful product, looks exactly like the original photograph, very impressed with it overall. Not too expensive, good value for money. I ordered it just 3 days before the actual event (knowing full well it wouldn't be here in time for the actual day) and was pleasantly suprised to find that it arrived just the morning after his birthday! Very impressed, and such a wonderful company, they emailed me to that me know when the product was being processed, then again to tell me when it had been shipped, (which was just one day after the first email) Couldn't have been happier, really is a great buy, do not hesitate to make a purchase from this company, the cheapest website I could find for this sort of product, with stunning results. 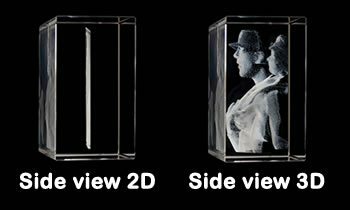 Amazing, the detail is fantastic and so life like. I am extremely happy with it.